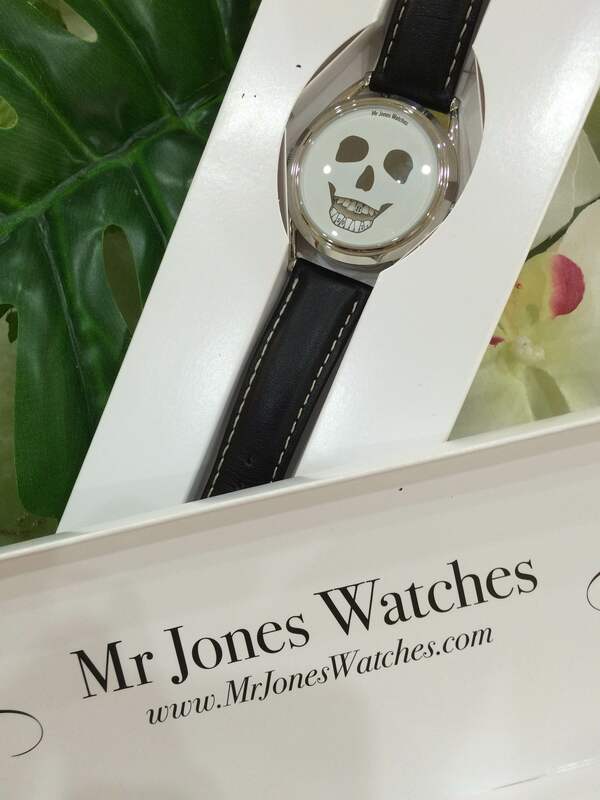 Mr. Jones Watches (or MJW) had been on my radar ever since I began my interest in watches. It is a watch brand which originated from London, and it has garnered a cult following among watch fans and enthusiasts alike. Their unique designs redefined what we used to think about the conventional watch. To them, watches should do more than just tell time. According to them, watches should start conversations, make you think, or make you smile. Each of the watches’ design are conceived by Crispin Jones. 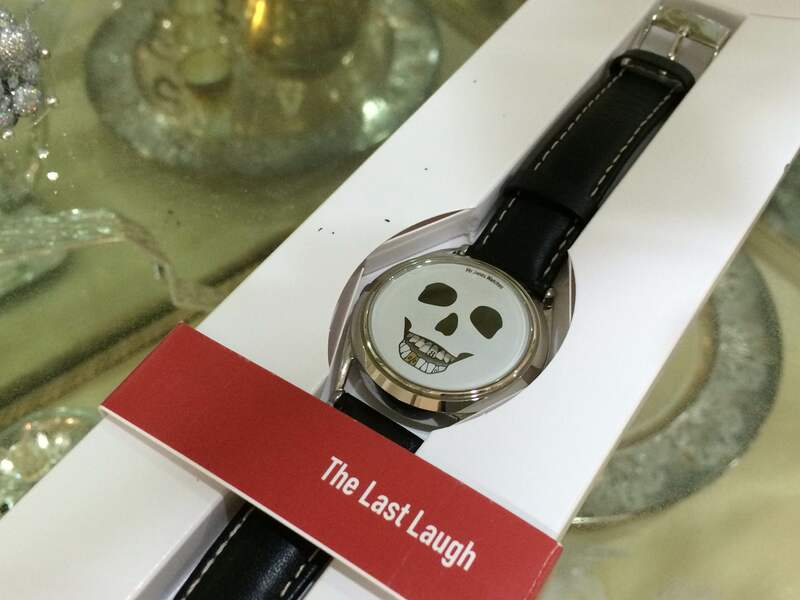 The first watch that I stumbled upon by MJW is non other than “The Last Laugh”. The watch had been my daily driver for about a week now, and it’s safe to say despite some minor drawbacks, there is a lot to love about this watch. MJW carries with it a strong identity concept that speaks to us all in many ways, MJW believes that a watch is more than a time piece but at the same time represents the wearer’s personality and should as well serve as a tinder for conversation. MJW has indeed ushered watch enthusiast into a new era of watch collecting by incorporating a new concept and brought along with it a whole new meaning to the term time piece MJW has long gained recognition and popularity as well as loyal followers all over UK with its gorgeous design that seem to instill an emphasis on styles along the lines of Goth and possibly Punk. It is worth noting that the watch came with a presentation box from MJW, with the artwork done by Hannah Davies. It is a pretty package with an ‘indie’ feel to it. The case measures at 37mm (which is relatively small) on my 6.5 inch wrist. It is enclosed by a stainless steel case. 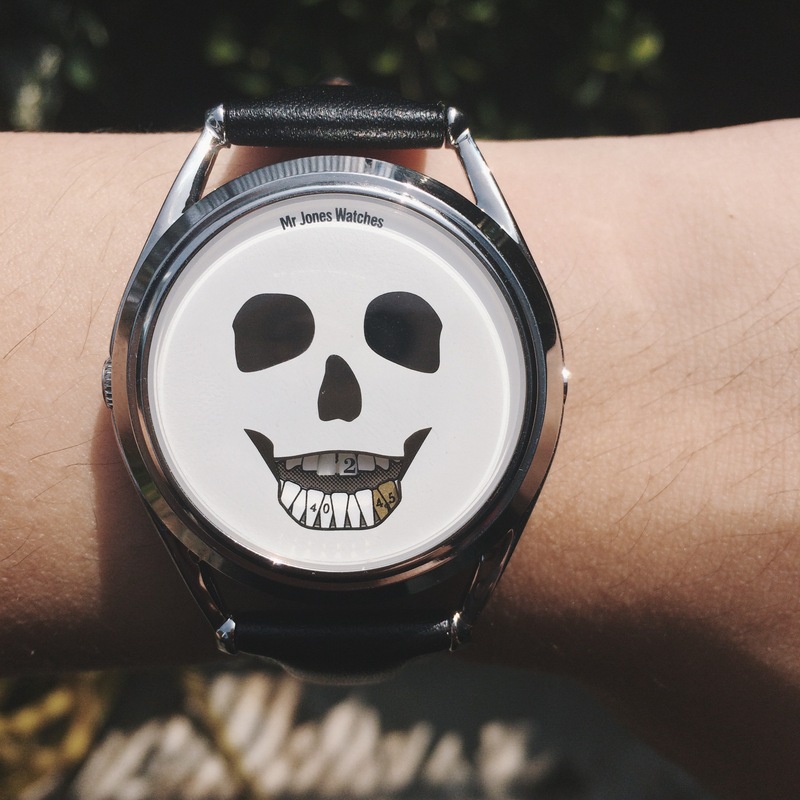 The showstopper here is the skull dial smiling back at you. The eyes and nose of the skull are mirrored to playfully represent “Memento Mori”, which in Latin means “remember, you will die”. As I have mentioned above, the Last Laugh gave up the conventional design of the hour and minute hand. 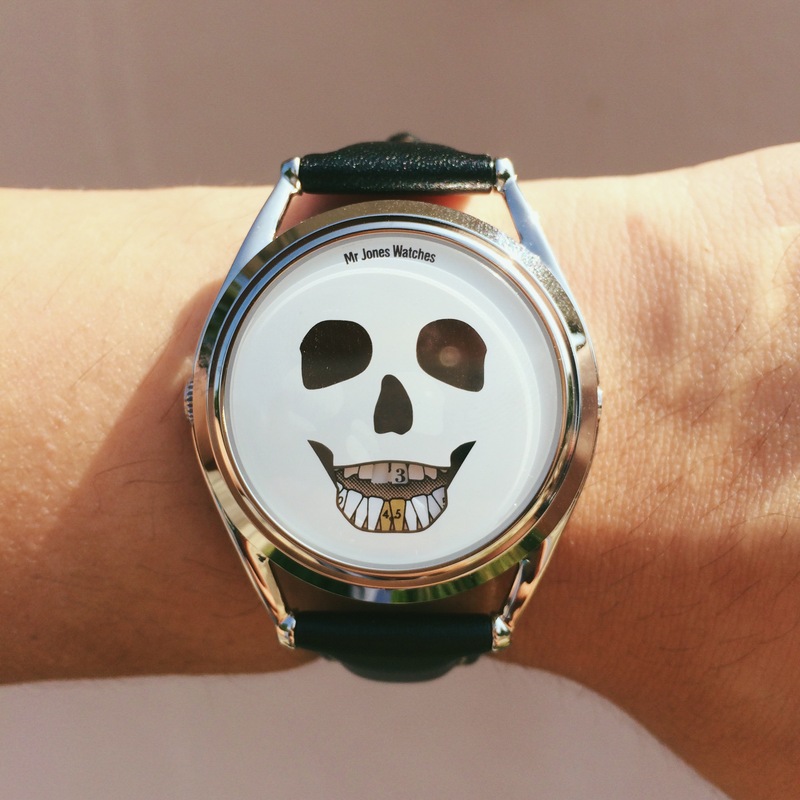 Instead, the hour and minutes are displayed on the skull’s teeth. The top of the teeth displays the hour and the lower teeth display the minutes. Every five minutes, the minute hand will turn to a gold tooth. I personally find amusing as it gives the watch that required contrast to tell the difference in time. By first looking at the Last Laugh, you will ultimately gaze at it for a few seconds before saying “Wow, that’s cool”. The design of the time piece is nothing compared to what many would consider to be a conventional watch, encased in a petite 37 mm case there are no seconds, hour or even minute hands present. This is because the designer of “The Last Laugh” Mr Crispin Jones, had truly portrayed his craftsmanship and ingenuity by designing “The Last Laugh” to tell time by way of rotation of the upper teeth of the skull to indicate the hour, and the rotation of the lower teeth to indicate the minutes. As an individual who has always put my work before everything else, this particular time piece spoke to me in a personal way, reminding me that life itself is precious and to truly appreciate it by sharing it with those who cares about me and to not put too much emphasis on what has little true value in life. An added bonus to the design of the watch lies in the lower teeth which will turn to a gold tooth every five minutes, giving the whole piece a gorgeous look and a whole new level of depth. There is absolutely no doubt that The Last Laugh is a cool piece. However, I have experienced a minor drawback during the course of wearing this watch for the week. That drawback is, legibility. The typography of the hour and minute hand on the Last Laugh is small, that is no surprise as the case itself is 37mm. I find it particularly harder to read it in low light and dim areas. I was having a cup of latte in a slightly dim café with a few friends of mine. One of them asked me what the time was, and it it took me while as I had to bring the watch up close for a clearer look. The lack of a luminescent dial and the small typography makes the watch a difficult one to read. 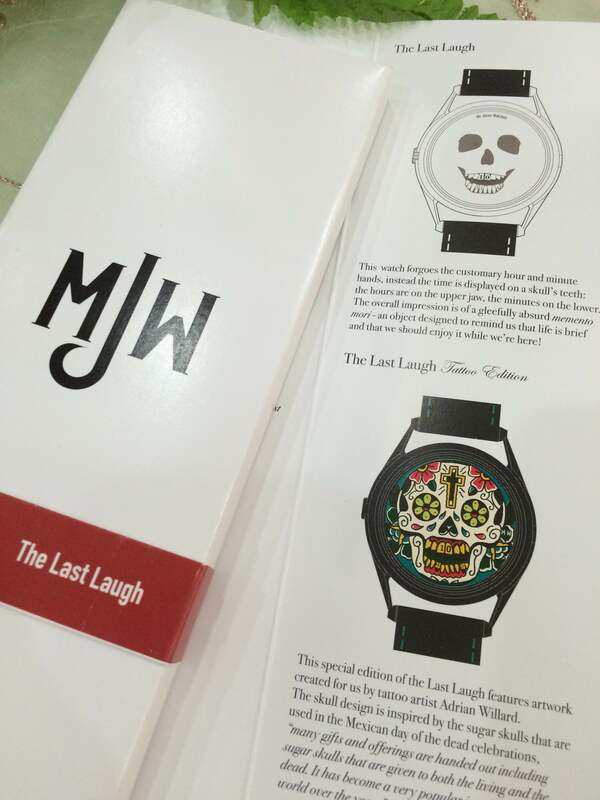 In terms of design and movement, without a doubt “The Last Laugh” is by far one of the best brain childs of MJW and Mr Crispin Jones, However as it pains me to write this, “The Last Laugh” had come up short in terms of legibility, as mentioned by Max in the above. The typography displayed on the upper and lower teeth could be improved in terms of font size, in correlation to this, the lack of a luminescent dial makes “The Last Laugh” not a suitable piece for low light conditions, wearing it at night it’s almost impossible to tell time without an independent light source. All in all, I love the Last Laugh by MJW. Yes, is it sometimes difficult to tell time in dim environments, but this watch is not designed to be a tool of that kind. MJW is aware that almost everyone today has a smartphone for functional time-keeping. This opens the door for them to be a little playful with their watches. Their aim is to produce unique and distinct watches where the designs are peculiar to MJW. Watches to MJW, is an extension of the person’s personality. It’s not about what you wear, but how you wear it. It’s for the young and playful at heart. 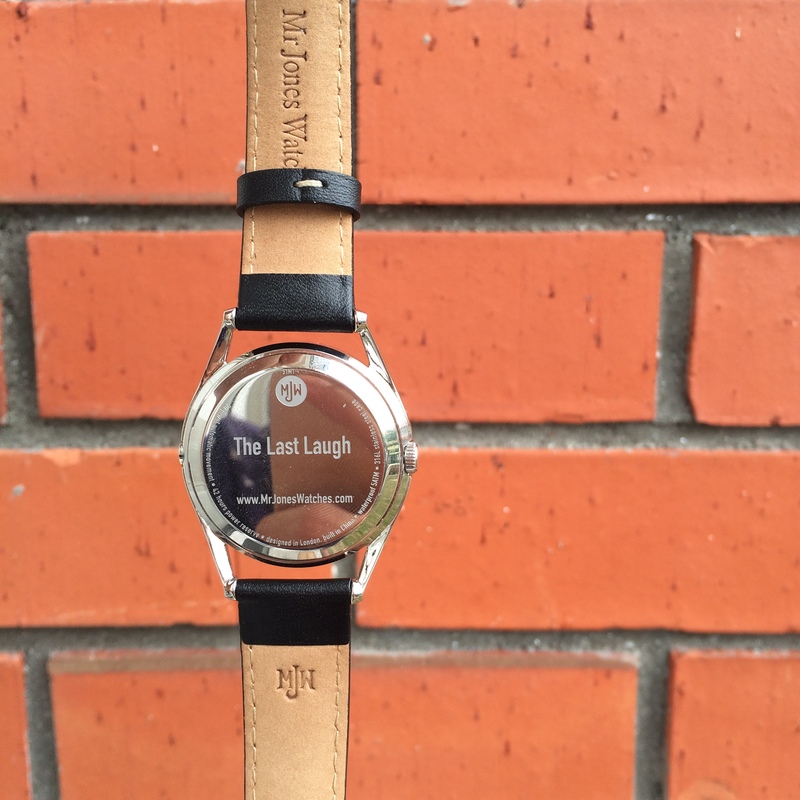 The Last Laugh will always have a special place in my watch collection if I were to own one. I love the special edition of the last laugh, which is the “Tattoo Edition”. 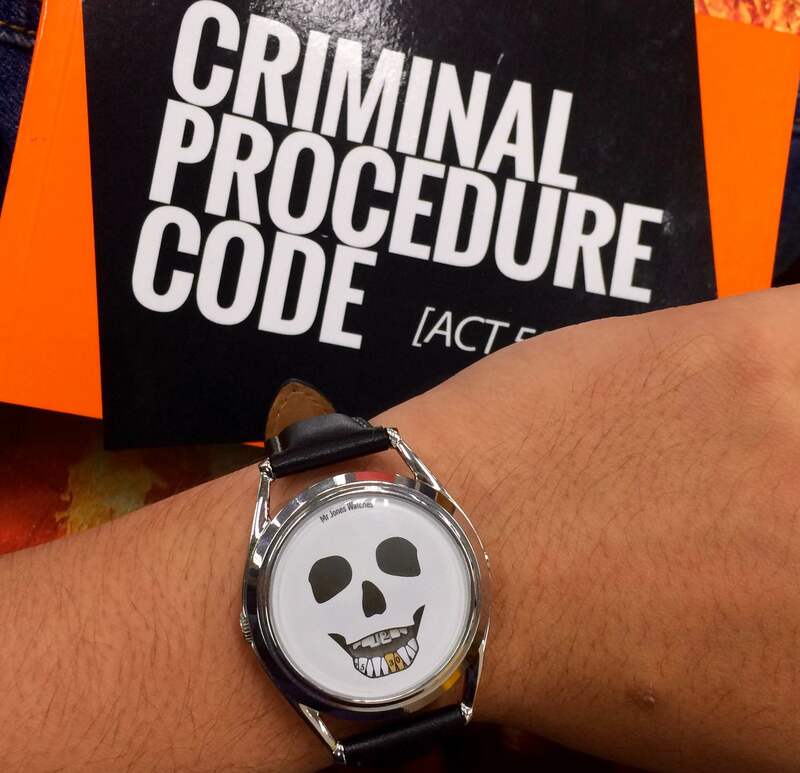 I will one day work towards owning that watch. Maybe MJW could send us one. In conclusion I can say, despite same minor drawbacks, “The Last Laugh” is a great piece with an exquisite design. I have been wearing this piece for a few days now and I can say that it certainly is hard for me to part with it and go back to my Orient Mako XL which is my daily beater for almost a year now. 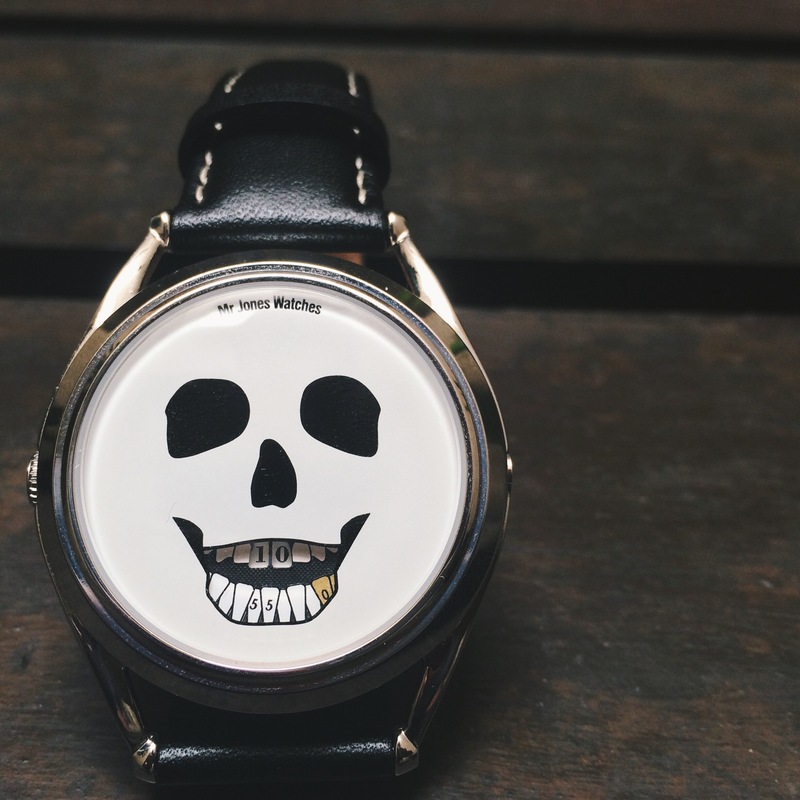 MJW truly has outdone itself with the design of “The Last Laugh”, despite it being a watch with a skull as a face dial, “The Last Laugh” can be worn as a casual piece as well as an exquisite combination when married together with a fancy suit for times when you need to give the appearance of a professional without killing your inner punk. Again we at CHRMTK are truly honored to have a watch of such caliber and uniqueness featured on our humble site. We wish MJW all the best and in continuing to expand and thrive in touching the hearts of watch enthusiasts all around the world with their unique, beautiful and one of a kind timepieces. You can check them out here on mrjoneswatches.com. Check out The Last Laugh here, and the Tattoo edition here. Wearability: Too subjective to comment, leaning more towards the hip, casual side. Next#Strapsmakethwatch – A Quick Look at Straps from Strapped Watch Co.